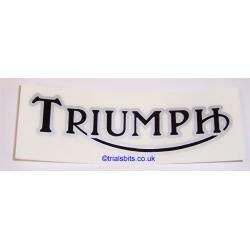 This is a Triumph Logo Tank Vinyl Sticker which is black with silver detailing. It is approximately 5.5" X 2", and they are sold singly. Please note this is a sticker and NOT a transfer.